Dr. Patrick Moynihan is a family physician who graduated from McGill medical school in 2015, and completed his residency training at St-Mary’s Hospital in 2017. Dr. Moynihan practices primarily in the East End of Montreal at Centre Médical Hochelaga, doing walk-in and prise en charge visits. 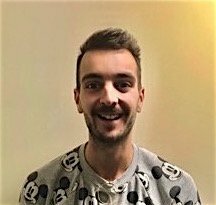 He started working at Meraki Health Centre in June 2018, following mainly adult transgender patients. He has a passion for teaching, regularly having resident and student trainees, as well as being an LFME (Longitudinal Family Medicine Experience) preceptor and part-time Clinical Faculty Lecturer in the Department of Family Medicine at McGill University. In addition to his medical work, Dr. Moynihan is also a backup dancer for several Montreal-based drag queens.